Castaña is Spanish for chestnut, a familiar nut with a singular smeared and floury taste. Sweet or savoury, chestnuts are very distinctive; an acquired taste like asparagus, anything caprine and pomegranates. I love them candied, cooked with game, ground, distilled, fried or simply roasted in their shiny shells. They smell of the earth, chthonic. Despite growing on trees, they seem more correct on the ground amid leaf litter and the colours of autumn. I have a very specific memory of roasted chestnuts linked to a miserable night in Paris as a student in the early 90s. I was an early manny and as such, part of a vast network of often unpaid naïve student slave labour, expected to appreciate the glamour of the city and the experiences being somewhat grudgingly extended to us and yet work ridiculous and demanding hours. My friend C and I didn’t go home that Christmas and the guy I’d been seeing brushed me off like snow on his shoulder. We lived off Boursin, horribly cheap wine in plastic bottles, baguette and C’s miraculous garlic-laden macaroni cheese she managed to conjure up on a hot plate in her little room. God knows where our money went. We look amazing in the photos, so on clothes, booze and cigarettes I guess. One evening we were in the Marais, after a few hours of pastis on a chilled terrace, wandering the Place des Vosges, one of our favourite places, vibrant by day, shadowed and eerie at night. It was drizzling and the streets were mobbed with shoppers, bags crashing into us as we moaned to each other, over-dramatising as only petulant, slightly pissed English students could. I was never dressed properly for any weather, thin t-shirts, ripped jeans and a cricket sweater that had seen better days. More rent than tourist. I’m sure it was all horribly deliberate. The photos demonstrate a smug knowingness I hardly recognise now. I always had a fag in my hand no matter what the weather. Everywhere we wandered, peering in at windows and dodging manic cars and raging klaxons, we could smell roasted chestnuts. It’s a very distinctive smell, unlike anything else, soft and inviting, wrapped in milky smoke. The little Dickensian stands emitted its heat and glow into the saturated evening. I wanted some, badly. The smell made my stomach howl. 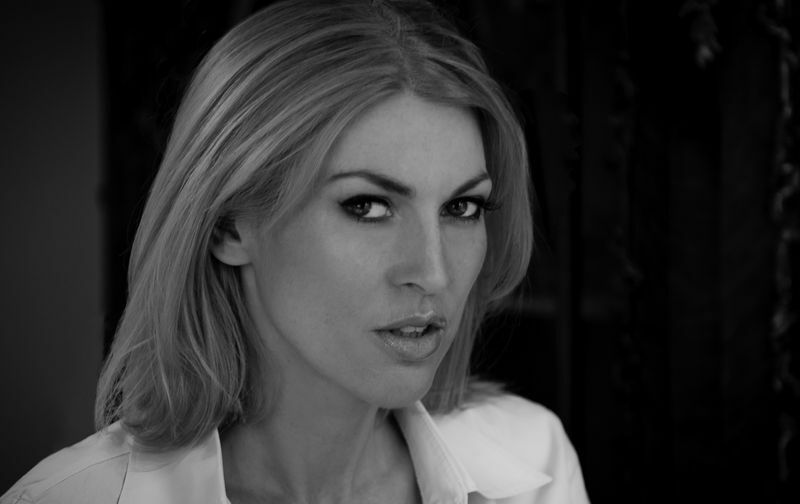 The marchand des chataignes was from Marseilles, his singsong accent, blurring his vowels like Mireille Matthieu. I remember begging him for two bags as I only had enough for one. Whatever I said worked, he waved his black-smutted hands at me and muttered joyeux noel…smiling through the rain. I shouted joyeux noel back and ran to find C, who was standing in a doorway, angrily trying to light a crooked damp cigarette. The smell of those sweet hot chestnuts, split and crisp, reeking of the newspaper cones the seller had made himself has stayed with me forever. Ink and floured nuttiness, sugared starch, but most of all, a scent of streets, of lights and rain, traffic fumes and exhaustion. I am very wary about eating roast chestnuts now. I see the vendors, smell the whiff of cracking burnt shell, the ooze of sweet inside. But I’m not sure I want to actually rekindle that particular memory. We walked for miles as we always did, Rue de Rivoli, Louvre, Chatelet, Gare de Lyon, Bastille, back to our rooms. In the morning I remember my fingers smelled of fire and sugar, the smudged newspaper tossed across the floor near my crumpled Gitanes. I have cooked with chestnuts since, stuffed partridge with them, pan-fried them with sprouts, maple syrup and walnuts, made a sauce with them, mixed with prunes and Armagnac and poured it over venison. And I’m anyone’s pretty much for a quality marron glacé… If you told me I had a rare disorder which meant I had to spend the end of my days living off marrons glacés and honeydew melon, I would be a very happy Fox. 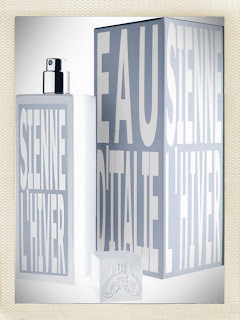 However as a fragrance note is rare enough to stand out. Strange really, because it is a very distinctive note, warm and sugared, floury and woody-soft. They taste like they look. Snug and golden. There are hints of saffron, patisserie, spiced apple, sweet potato and artichoke. The texture is glutinous and dry, powdered and strangely sherbety. There are a few rather unusual perfumes that have taken chestnuts as a theme and done lovely things with them. Betrand Duchaufour has been creating perfumes for the Sersale Family at the Hotel Sirenuse on the Amalfi coast for a number of years now. I am huge fan of his hot, terracotta-infused Paestum Rose. 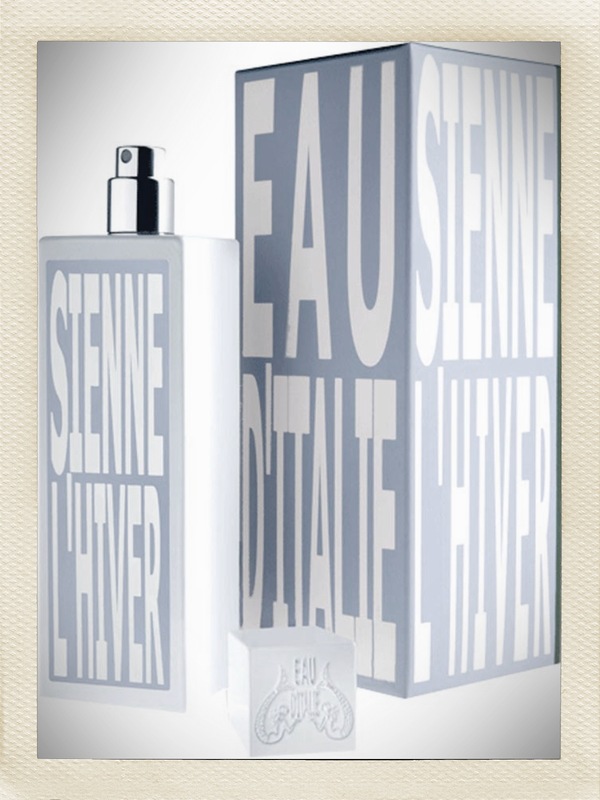 But his melancholic and comforting Sienne L’Hiver is layered with notes of the earth: truffles, leaves, straw, coal roasted chestnuts, violet, woods and musks. The elements of wandering through forests, of trying to lose oneself, kicking at the ground, all around the odours of autumn descend and infiltrate the senses. The other one is Aqua di Casta by Testa Maura, created by Corsican perfumer Xavier Torre. These are really beautiful intense fragrances, made with true passion and desire. Carticasi is another one, a profoundly resinous floral with ylang and rose but tempered with the weird brittle snap of mastic. Wonderful. 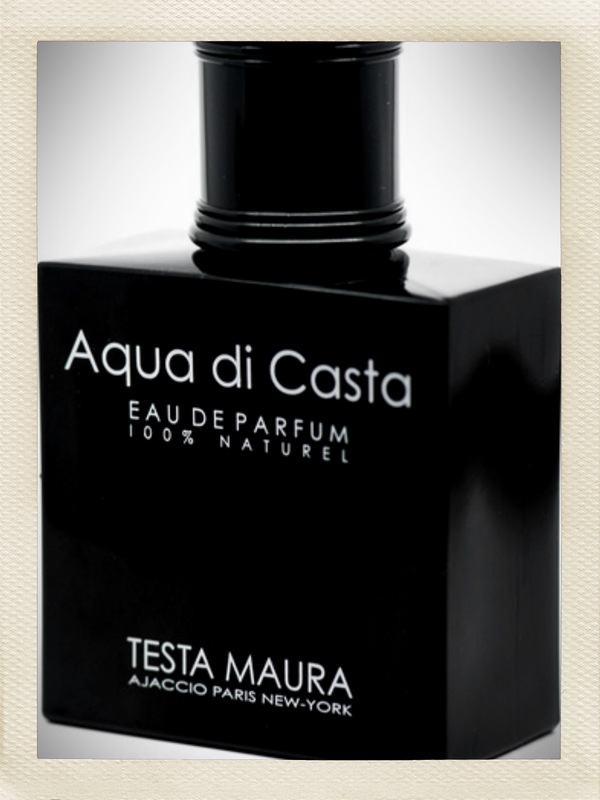 Aqua di Casta is a homage to the chestnut trees of the Castagniccia Corsican highlands. Blended with pepper, wood and ginger it is a dry sun-swept scent, filled with the rustle of leaves and sound of coruscating summer winds. 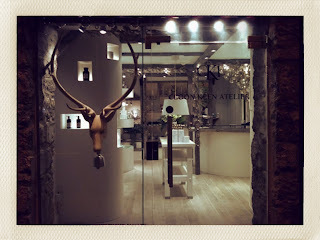 So I was very intrigued to see a new fragrance called Castaña appear last year from small niche house called Cloon Keen Atelier. Based in Galway on the West coast of Eire, Cloon Keen Atelier was set up in 2002 by Creative Director Maggie Magnan and partner Julian Checkley. Originally noted for very high quality soaps, chandlery and bathroom products, the decision to move into fragrance seemed inevitable, considering the finite attention to detail and emphasis placed by Maggie and the brand on every aspect of Cloon Keen’s in-house manufacturing. Each product – perfume, bottle, candle, label, soap etc is hand-finished, painted, bottled and finished in Galway. It’s all about connecting to the product, impacting and touching the final thing, be it a Gooseberry Leaf candle for a room, or a bottle of Lune de Givre fragrance, tucked neatly into its crisp clean white cylindrical Cloon Keen box. The distinctive white packaging is finished beautifully. There are touches of Dior and the old Montana line about it. For all that, the typography and clean lines give Cloon Keen Atelier a striking and durable brand image. The mix of Irish whimsy and niche artisanship is a little uneasy. But there is tremendous pride and rightly so in the origins and continued local sourcing of labour and materials. I live in Edinburgh, one of the most recognizably branded cities in the world. I have seen so many small city companies attempt to deal with the question of scots whimsy and the notions of so-called Tartan Tourism. It’s incredible difficult to balance the symbolism of what you know will draw the eye and soul with what you know is blatantly touristic. For the record I think Cloon Keen have managed on balance to get it just about right. Selling the fragrances through Les Senteurs in London for example lends the brand a heavier weight of niche that might not have come their way before. There are currently four fragrances in the Cloon Keen portfolio. Castaña, inspired by a memory Maggie Magnan had growing up briefly as a child in Andalusia at Christmas. The roasted chestnut accord is mixed with a huge warm vetiver note, red pepper, cardamom with cassie and jasmine absolutes. Bataille de Fleurs is a love letter to mimosa, that most French and Côte d’Azur of milky yellow blooms. This takes it name from the annual Nice Festival Bataille des Fleurs. The thing that intrigues me about this scent is the fact it is created by Stéphanie Bakouche, who to date has only created one other scent, the magnificent Invasions Barbares for MDCI. This is fascinatingly different, a harmonious marriage of soft, billowing mimosa, with tart lemon tree leaves, jasmine absolute and the warmth of fig. Terre de L’Encens is the least interesting for me. I get very tired of smoked scents, no matter how innovatively they seem to be constructed. The inclusion of immortelle, one of my touchstone note intrigued for me for a while, but it fades under a rather acrid over-use of frankincense and a thrown away iris, that lies on the composition like a cheap coat left on an expensive bed at the end of a party. 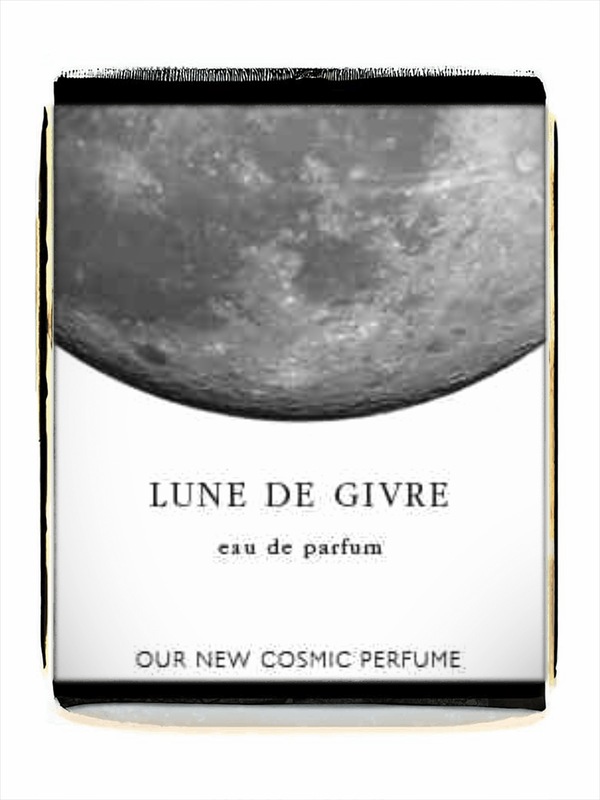 Lune de Givre has the most gorgeous name. Frosted Moon. Just lovely. One of the best I’ve come across in years. So bravo on that. It’s also damn weird, echoing Les Nez’s bizarre mangetout smelling Unicorn Spell and Magnetic Scent’s Nordic-noir Tindrer in its use of chilled rooted notes like iris, angelica, galbanum and damp woods with the animalic hunger of Ambrette seed. It’s silvered and cold, with a freezer burn intensity. 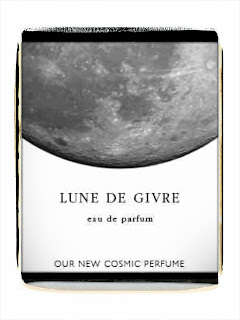 Not normally my thing at all, but Lune de Givre is constructed with great delicacy and an eye for glittering effect. The landscape may be cold and shimemring with ice and diamond dust, but nonetheless it is hard not to love the light. So I ordered Castaña. I had to. The roasted chestnut accord and cassie absolute did it for me. I was intrigued as to how the pieces might embrace. When it arrived, (Accompanied by a bottle of Ambre Russe by Parfums D’Empires, a vodka/boozy, flaming leather fur-tastic amber for my collection) I realised how beautiful the Cloon Keen bottles are. They look quite generic online, but resemble old-fashioned ink-wells in the ‘flacon’ as it were, with nicely made hinged silver lids that close with a satisfying click. The white cylindrical boxes do remind me a little of the Dior Exclusive collections, I have about four or five Eau Noire ones in my study, they have a similar touchable quality and sleekness. Chestnuts were once thought of as food for the poor, although paradoxically like oysters, are now considered a elitist victual. In parts of southern France, the chestnut tree is still sometimes refereed to as l’abre de pain or the bread tree, as the nuts were ground down to make a flour substitute for those who could not afford wheat flour. Foraging for chestnuts, hazelnuts, walnuts, fungi, truffles and tubers is something very few of us do anymore of course except food specialists and those paid to do so. There are an epicurean treat, not the necessity of old times when these things were needed for actual survival. These elemental scents of forest and harvest have distinctive mulchy, leaf-litter echoes of long lost hunter-gatherer ancestors. They bring an odour of the outside in. However sanitised it may be now, when I smell the split and ooze of cooking chestnuts and taste the hot, fudgy breadiness of the little brain-shaped things I feel comfort and for a moment the kitchen is full of gilded trees and leaves, seed casings roll past chair legs and clutter cupboards. What I love in Castaña is the use of contrasts. It would have been all too easy to have gone down the autumnal leaf-kicking route, all Brora catalogue editorals, cashmere knits and nutty, berry laughing warmth. Add some amber base notes, a touch of smoke, a spike of blackberry leaf, cedarwood, galbanum, coriander seed, a drizzle of honey. But no, perfumer Delphine Thierry has gone down a very different gustatory route, for it is a very gourmand in tone, patisserie-like and smudged, but very Spanish and Portuguese in taste. Thierry has some interesting fragrances under her belt, Galaad for Lubin, a very peculiar honey, tobacco and cypress drenched leather scent. Akaad for Lubin as well, a luxurious amber perfume with vanilla, frankincense, elemi and styrax with a whopping clary sage note. Two fragrances for a small niche brand called Evidens de Parfum. One of these, L’Eau Parfumée No 2 is a rather fabulous sounding powdered oriental inspired by the smell of Black Indian Ink. Thierry’s work on Castaña is quite lovely; the roasted chestnut accord lifted by a fabulous whoosh of Haitian vetiver. This I think makes all the difference. The grassy balsamic grab of this particular style of vetiver lends air and lemony fun to formulae, perfect to offset the carbohydrate weight of the chestnut. I am big fan of cassie absolute in scent, it is not used nearly enough or with correct care and attention. The only perfume allowing it full magisterial abandon is Fleur de Cassie by Dominique Ropion for Editions Frédérick Malle. Ohhhh the glory… the sexual danger. I don’t actually trust myself in it! Using cassie and jasmine absolutes in Castaña add an animalic, skin/boudoir facet that is quite unexpected alongside the edible nut note. But it works beautifully, taking the place if you like of smoke and drama and laying down a new more refined set of rules which say that skin may be gently inhaled and admired but ravishment is at the wearer’s discretion. Red pepper and cardamom are also in the mix, both vivid notes with strong personalities if not tempered correctly. I can only catch the faintest whiff of red pepper, a dusting of Catalan spice on the breeze. The cardamom is more evident in the initial spray and then dries away to a soft almost ozonic effect later on. 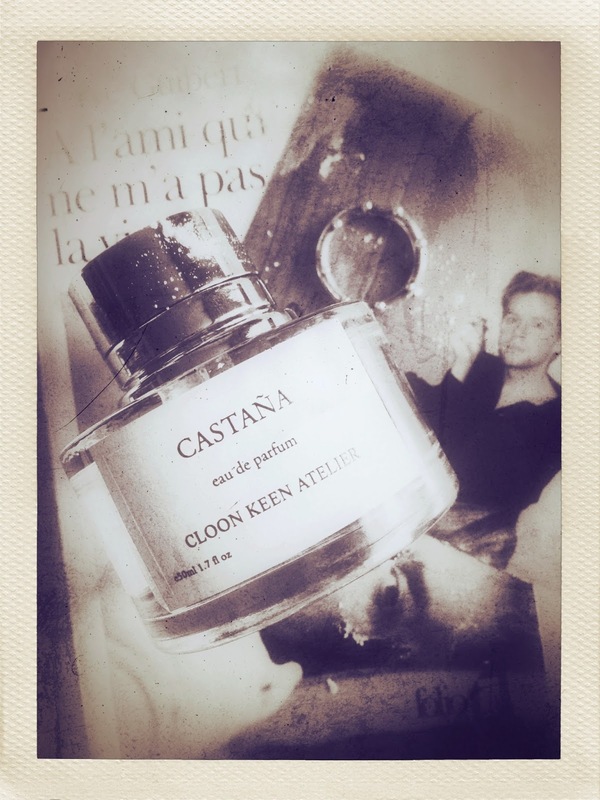 I was initially quite taken aback at how much Castaña smells like Jean-Claude Ellena’s wondrous Bois Farine he created in 2003 for L’Artisan Parfumeur. Ellena was inspired by a tree found only in the Réunion Islands whose red flour smelt of flour. This opened his olfactory memories of his mothers’ hands baking patisserie in the kitchen when he was a child as Bois Farine was the perplexing and moreish result. The opening of Castaña really is shockingly similar to Bois Farine. Doughy, sweet and floury with the same textured sensation of being able to able to physical touch the scent with your fingers. But this strange echoing soon wears off as Castaña develops a more saline, cooked note as it settles onto the skin. Bois Farine always stays sugared, hazelnutty and powdered due to the iris, anisic fennel notes and the sandalwood which can often smell quite milky in compositions depending on its quality and levels. I like the cooked sense of Castaña. Traditionally in Andalusia a perforated roasting pan called a tixolo is used to cook the chestnuts to perfection. But any dry pan, roasting or coal shovel over an open fire will do. It is this dryness of the cooking I can smell in this clever and sensual perfume, the slight note of metallic heat under the sweet, fudgy comfort of the slashed chestnuts themselves, sizzling and creaking in their shells. It is not the longest lasting fragrance I have ever worn but I wasn’t expecting it to be, the assemblage of notes is delicate and there is nothing massively heavy kicking around in the formula that is going to anchor it for hours and hours to the body. One thing I am pleased with is the decision not to go down the white musk/Ambroxan/Iso-E-Super route either. It would have been easy enough to slick chemical CGI over the naturals, coating them in icy depth and extending their molecular DNA on the skin tenfold. There is a lot of this about just now. You can blame Olivier Cresp and the juggernaut success of Dolce & Gabbanna Light Blue with its ocean of starchy clean Ambroxan. But the Cloon Keen Atelier fragrances have a trademark tenderness that makes them incredibly charming to wear. It is always a real pleasure to come across new fragrance brands that actually stand up to skin scrutiny. I have wanted to road test the Cloon Keen fragrances for a while now and have sampled them a few times over the past few months. Castaña feels very special on the skin, satisfying and refined. The chestnut note is salty-sweet and so evocative for me of that madcap miserable night in wet Paris. It was one of those evenings when you realise the humbling truth of being alone amid so many people. But the smell of inky paper and hot roasted chestnuts lit up our bedraggled and self-pitying souls and I have a memory of getting ready to Mylène Farmer, heading off to a bar of course, the one we always went to, (they picked us off the floor a little too much if I remember) knocking back vile crème de menthe cocktails and kissing totally inappropriate strangers. I’m glad I’ve found this perfume, I don’t really want the full visceral rush of eating roasted chestnuts, I’m not sure I could bear the pain. Castaña has a nostalgic glow, a cashmere distance that suits me just fine. What fabulous writing. I'm currently living in Cloon Keen's 'Sybarite'. I wonder what you'd make of that? Anyway, thanks for the enjoyable and inspiring read. Sorry it's taken me so long to get back to you. Thank you so much for the reccomendations. I am however, a one smell at a time sort of a person. I've only found four perfumes that have really done it for me (or perhaps more importantly, done it for those I've wanted to attract), and each time the search for a replacement has been pretty intense. My fiancee and I met Maggie at the shop in Galway and although I liked the quality of her stuff (all of it), none of the perfumes worked for me. We talked perfumes a lot and she made some suggestions and generously offered me tests from her hamper full of samples - but to no avail. But I like her and what she's doing, so I keep popping in when I'm over there. Anyway, one day she had something new to try and wow! It wasn't exactly what I was looking for - a replacement for Comptoir Sud Pacifique's 'Coeur du Vetiver' - but It enveloped me in luxury and my fiancee can't get enough of it. Strangely enough, although it's nothing like what I had before in it's entirety; there must be something on my skin that's similar, because old friends remark 'ah!, you've found your perfume again'. I do hope you have a chance to try it (and that Maggie still makes it in 20 years).